The World’s Favorite Football Game! 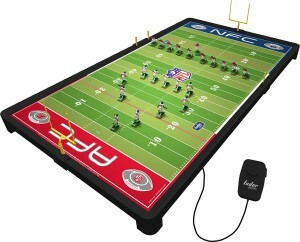 NFL Deluxe Electric Football is our NFL tournament model. 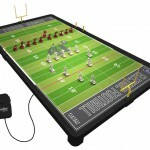 Great for leagues, it’s the same size used in the TudorCON Electric Football World Championships. 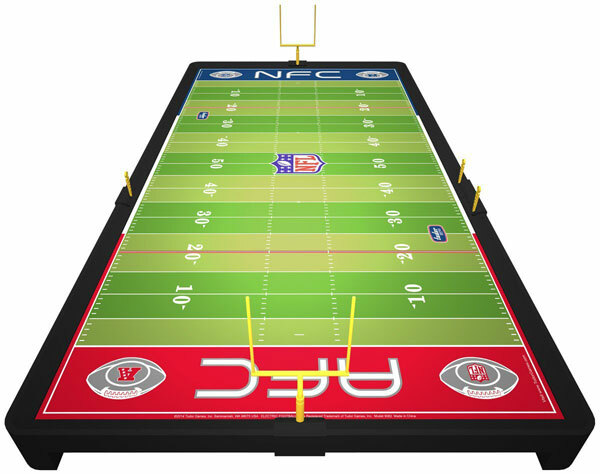 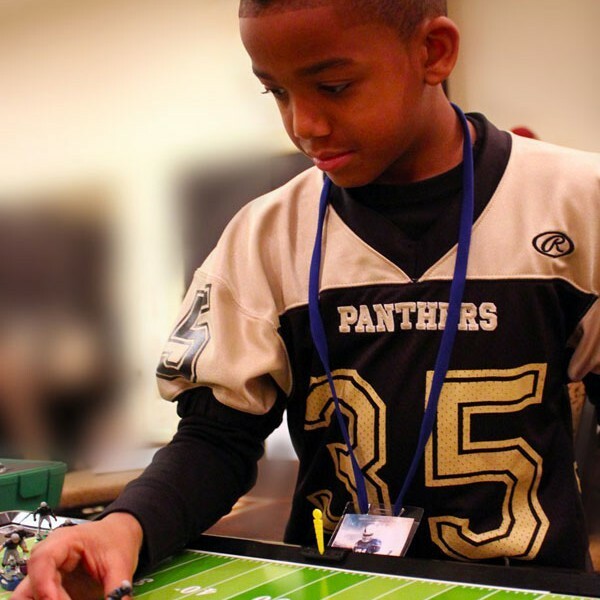 The NFL Deluxe game includes two hand painted NFL teams and gives you the fun and realism of a larger field as you advance your Electric Football skills. Complete set includes: Speed Turf Playing Field Playing Field Size: 32″ x 16″, Make it your own with 70 NFL Team and Conference Logo Stickers, Field Drive Motion Generator Powers Your Plays, Play Action Remote provides Precision Play Control, 11 Man NFL Home Football Team in 5 Action Positions, 11 Man NFL Away Football Team in 5 Action Positions, 12 Invisibase Strength Cleats, 24 Invisibase Speed Cleats, 2 Triple Threat Quarterbacks Run, Pass, Kick, 1 Black Uniform Number Sticker Sheets, 1 White Uniform Number Sticker Sheets, 6 Official Tudor Games Felt Footballs, 2 Goalposts with Frame Clips, 2 Yardstick Markers with Sliding Frame Clips, 1 Ball Marker with Sliding Frame Clip, Official Rule Book and Assembly Instructions. 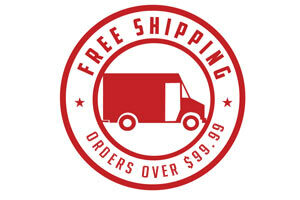 Includes two NFL team sets and a complete set of NFL team end zone stickers to customize your game. 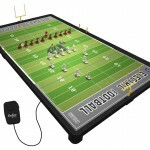 PlayAction Remote gives precision control over speed of play. 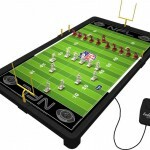 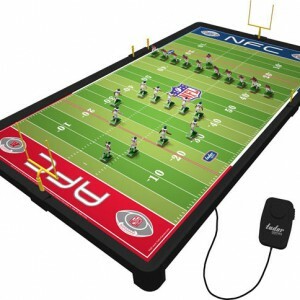 This is our mid-size NFL game, great for competitive play.